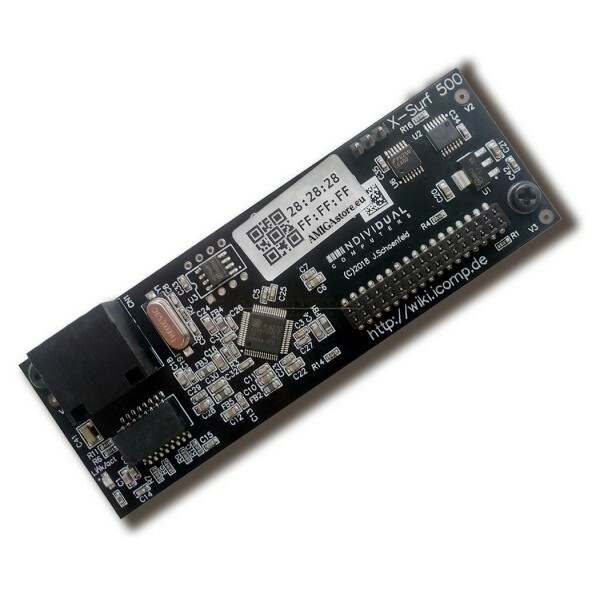 100 Mbit Networking card for ACA500 and ACA500plus accelerators. Please note that owners of the ACA500 will need the 'installation disk' software. The 'installation disk' will be available at your account at our web, in LHA format, after you finish the order. The "installation disk" is also available in a physical floppy disk as option. 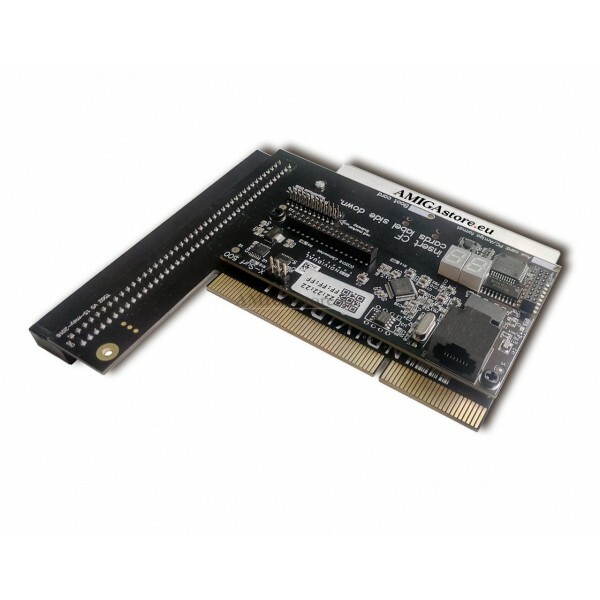 The X-Surf-500 is a 100MBit networking card for the ACA500 and ACA500plus accelerators. • 100MBit physical link rate. • Sana-II device for use with OS2.0 or higher. • AmiTCP license (latest 2018 version) included. • GUI for simple network settings. 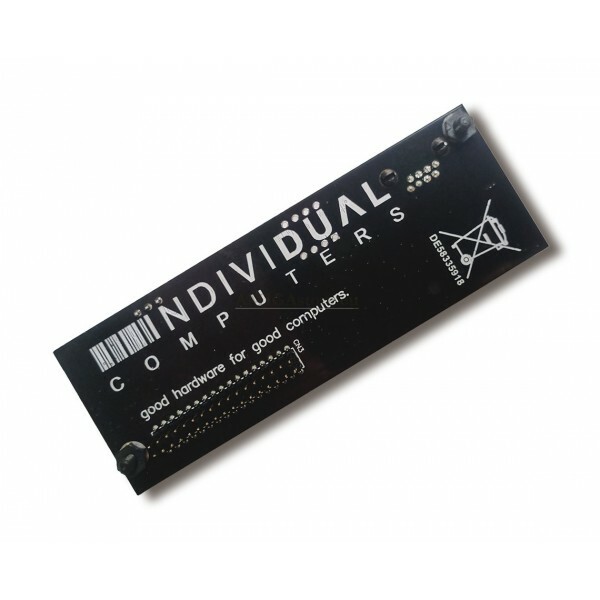 • works with 68000-based systems. 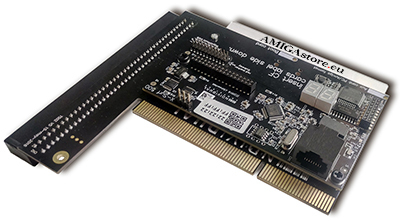 While basic Ethernet functionality is not new to the Amiga world, the X-Surf-500 takes "ease of use" to a new level never seen before on the Amiga. This starts at installing the TCP/IP stack, which is simply done with a few mouse clicks. For those users who don't like to edit configuration files and make manual settings, we've added a graphical user interface that allows simple settings for the most common networking cases, including IP address setting through DHCP, which was not available with AmiTCP before. For expert users who would like to use the TCP/IP stack "Roadshow", there's also good news: Our graphical user interface can also work with Roadshow, adding a key functionality to that stack which many people have been missing badly for a long time. While most A500-based systems will not have the CPU power to run a web browser, the X-Surf-500 demonstrates that "Network" is a lot more than just the world wide web. One example is a free service that we're launching with the release of the X-Surf-500: The "iComp drive". If you double-click on the "mount iComp" icon after the automatic installation is complete, the computer will mount a network drive that can be used as if it was a local harddrive. Your Amiga can directly access files that are hosted on our servers through that drive: You always have access to the latest versions of drivers and support programs for our products without the need for an additional, internet-connected PC and a data transfer method. Owners of the ACA500plus need to perform two updates to the flash, which are both available at the Icomp ACA500plus Wiki: the "network installer update" and the latest menu update (V0.125 or higher). Owners of the ACA500 will need the 'installation disk'. The 'installation disk' software. The 'installation disk' will be available at your account at our web, in LHA format, after you finish the order. The "installation disk" is also available in a physical floppy disk as option.